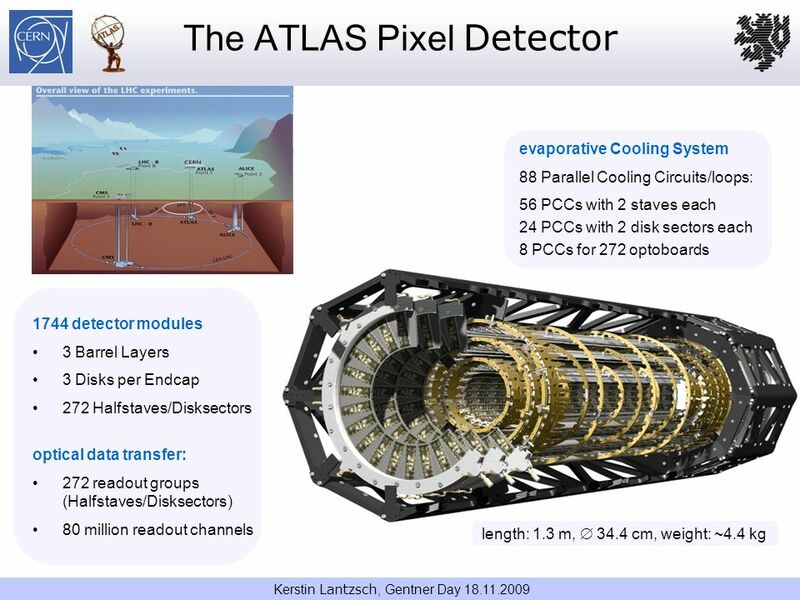 Download ppt "The Control System for the ATLAS Pixel Detector"
1 of 17 LUKAS PÜLLEN New prototypes for components of a control system for the new ATLAS pixel detector at the HL-LHC New prototypes for components of. 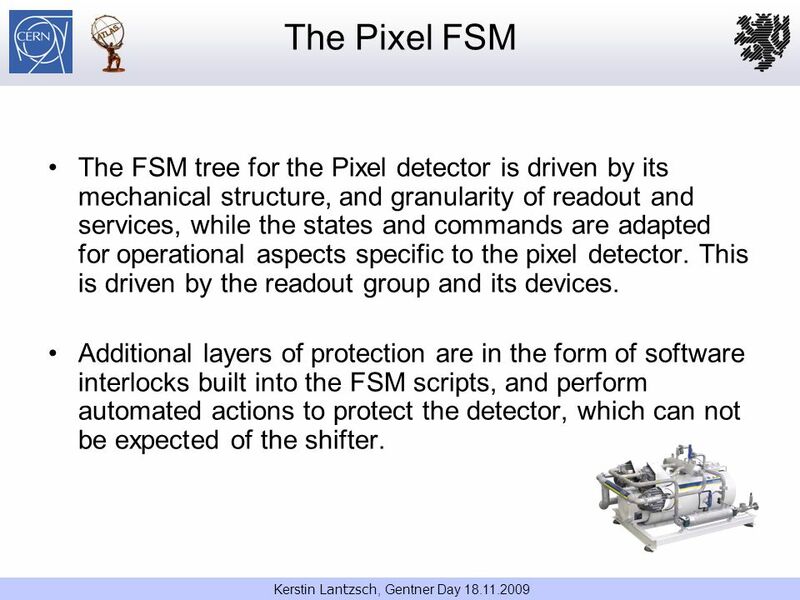 J. Varela, CERN & LIP-Lisbon Tracker Meeting, 3rd May Partitions in Trigger Control J. Varela CERN & LIP-Lisbon Trigger Technical Coordinator. André Augustinus 15 March 2003 DCS Workshop Safety Interlocks. DCS workshop 13-14/6/2005G. 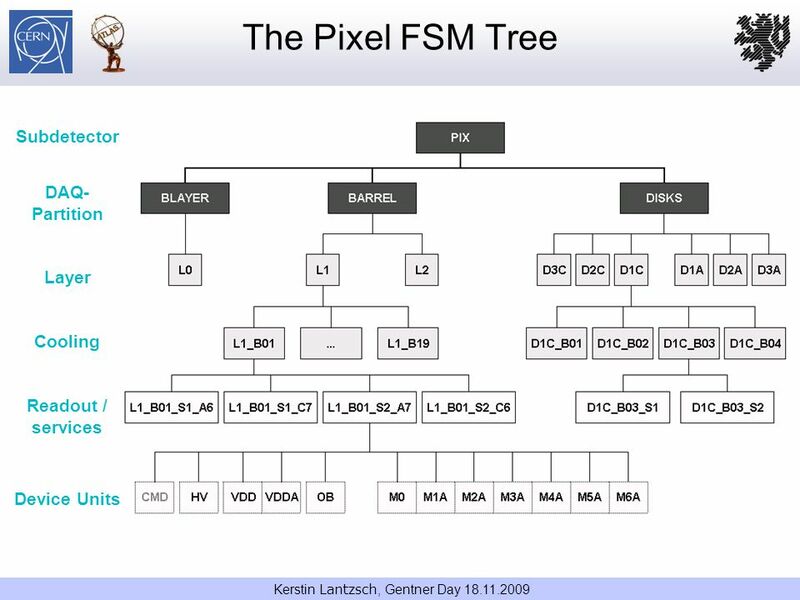 De Cataldo, CERN-CH and INFN bari1 Common FSM’s updates An exercise to design the standard FSMs for the DCS, the HV and the. Peter Chochula CERN-ALICE ALICE DCS Workshop, CERN September 16, 2002 DCS – Frontend Monitoring and Control. SPD DCS Status Report Ivan Amos Calì a,b, S.Ceresa a,c, C.Torcato de Matos a a CERN-AIT a CERN-AIT b Università degli studi di Bari b Università degli. 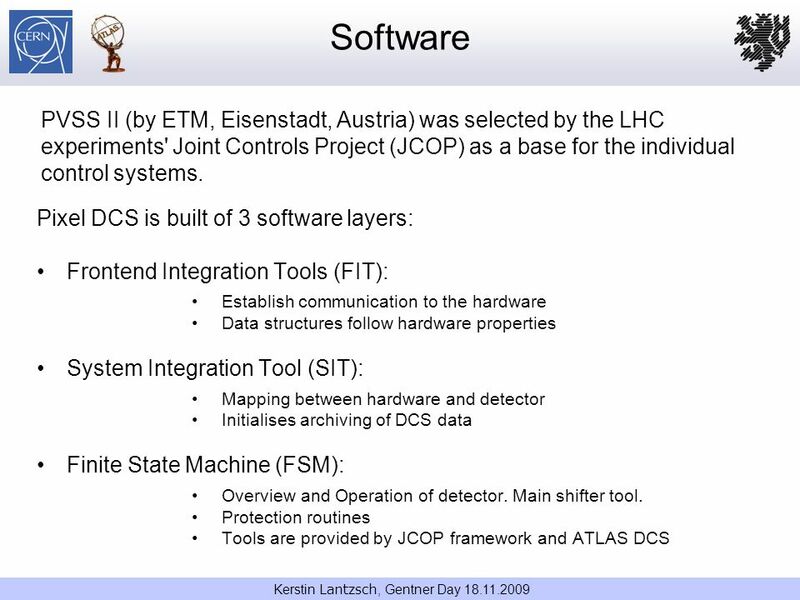 Experiment Control Systems at the LHC An Overview of the System Architecture An Overview of the System Architecture JCOP Framework Overview JCOP Framework. 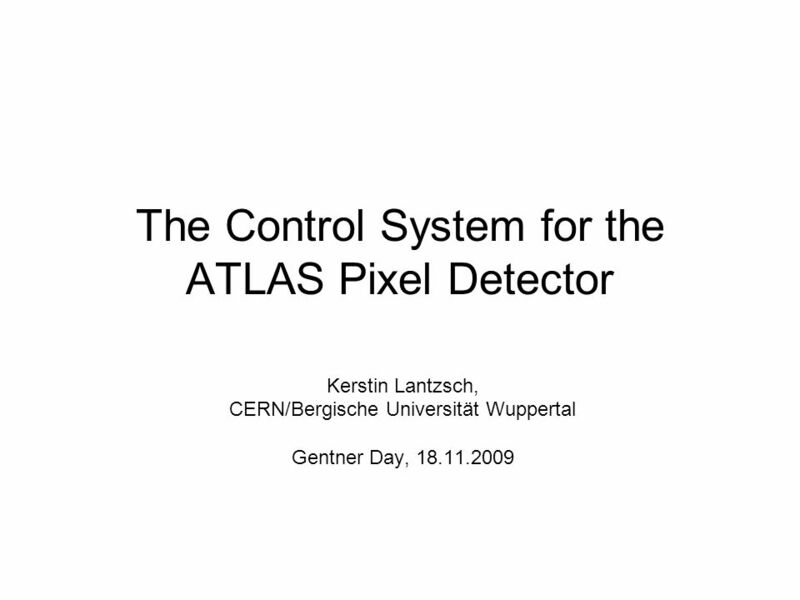 André Augustinus ALICE Detector Control System  ALICE DCS is responsible for safe, stable and efficient operation of the experiment  Central monitoring. Atlas SemiConductor Tracker Andrée Robichaud-Véronneau. 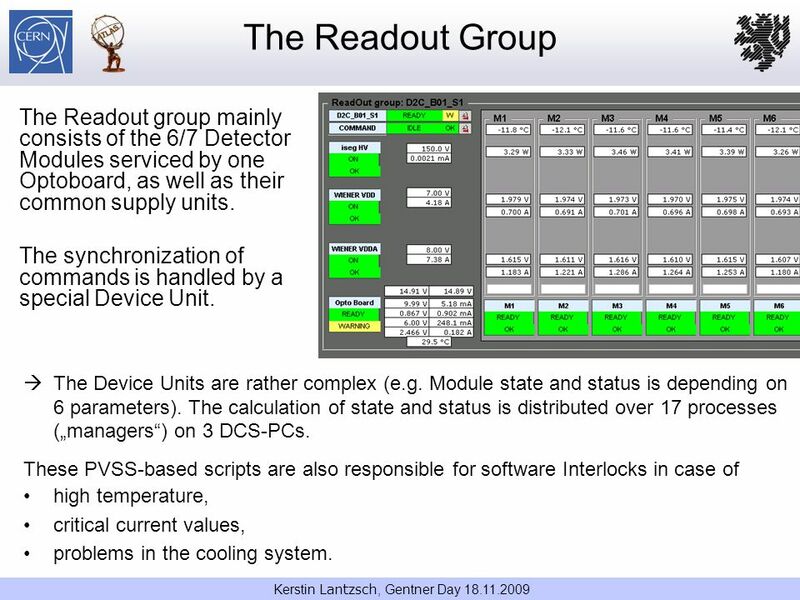 Clara Gaspar, May 2010 The LHCb Run Control System An Integrated and Homogeneous Control System. L. Granado Cardoso, F. Varela, N. Neufeld, C. Gaspar, C. Haen, CERN, Geneva, Switzerland D. Galli, INFN, Bologna, Italy ICALEPCS, October 2011. 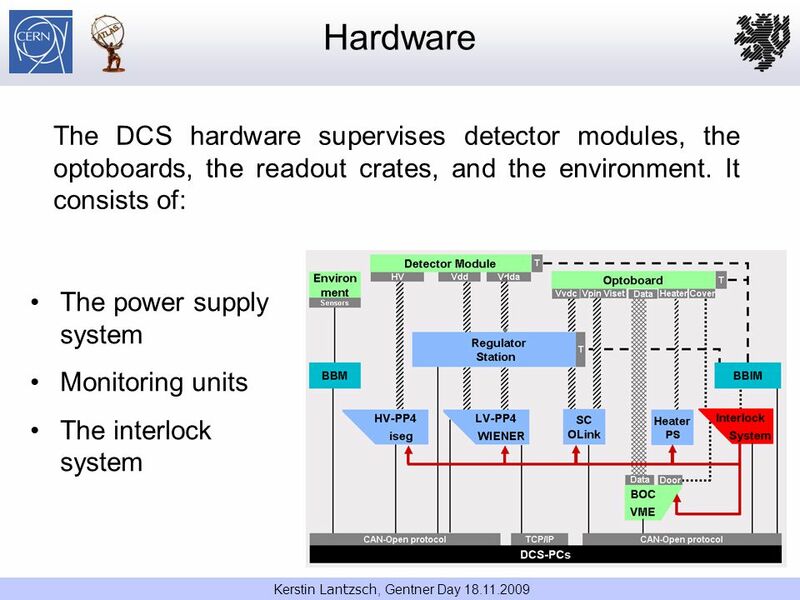 DCS LEB Workshop ‘98, Rome, Detector Control System, H.J.Burckhart,1 Detector Control System H.J Burckhart, CERN u Motivation and Scope u Detector and. 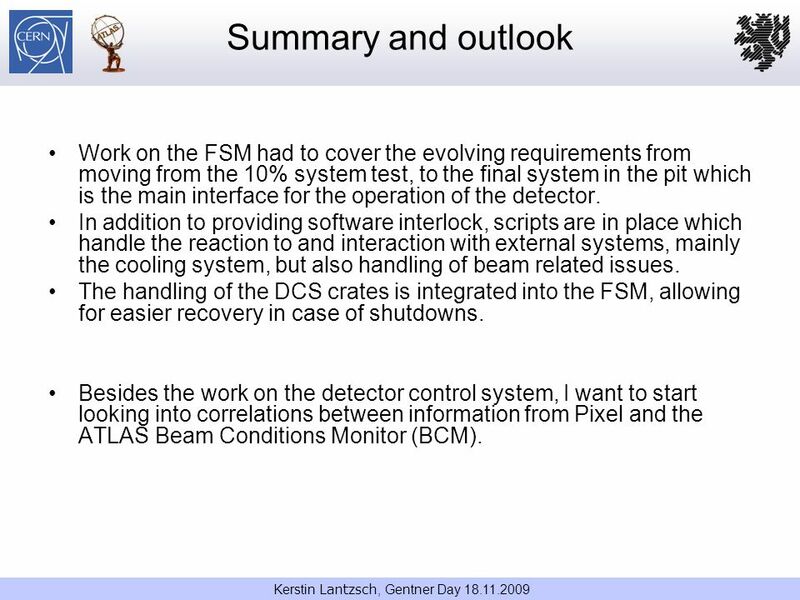 The Detector Safety System for LHC Experiments Stefan Lüders ― CERN EP/SFT & IT/CO CHEP03 ― UC San Diego ― March 27 th, 2003. 09/12/2009ALICE TOF General meeting 1 Online Controls Andrea Alici INFN and Universtity of Bologna, Bologna, Italy ALICE TOF General Meeting CERN building. Robert Gomez-Reino on behalf of PH-CMD CERN group. 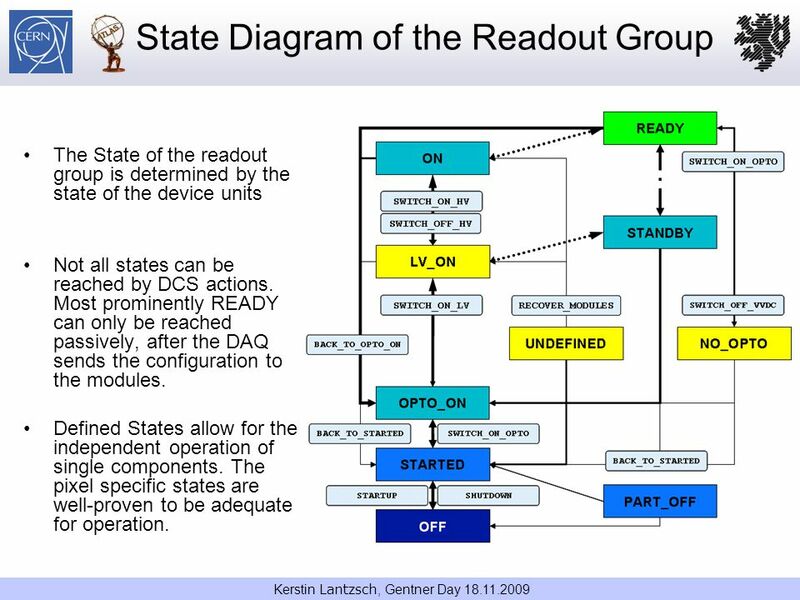 System Integration Tool Basic Introduction. 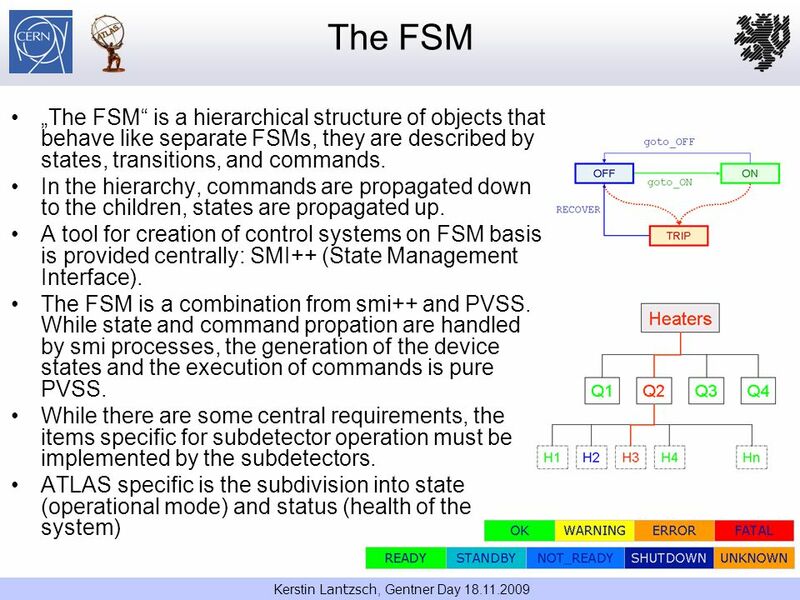 „System Integration Tool “2Content I.Nomenclature I.Nomenclature II.Introduction II.Introduction III.Implementation. 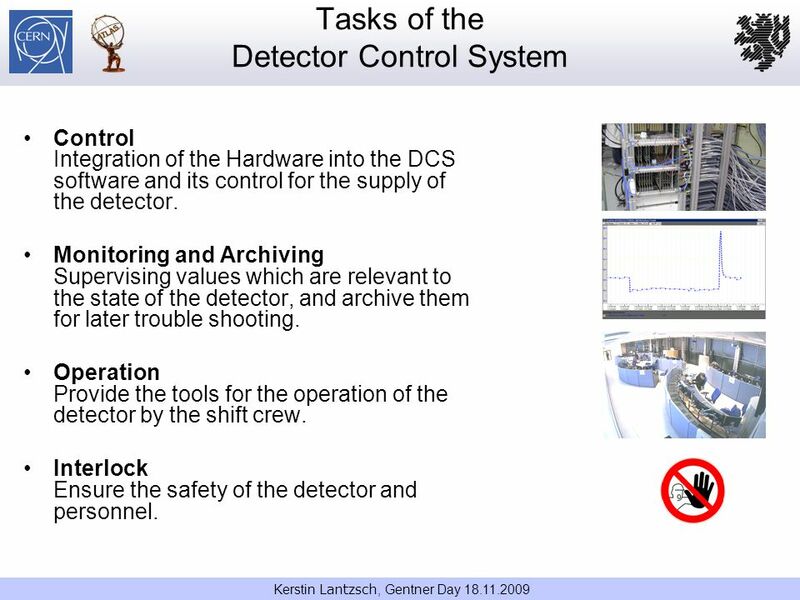 CERN - IT Department CH-1211 Genève 23 Switzerland t The High Performance Archiver for the LHC Experiments Manuel Gonzalez Berges CERN, Geneva. Calo Piquet Training Session - Xvc1 ECS Overview Piquet Training Session Cuvée 2012 Xavier Vilasis. 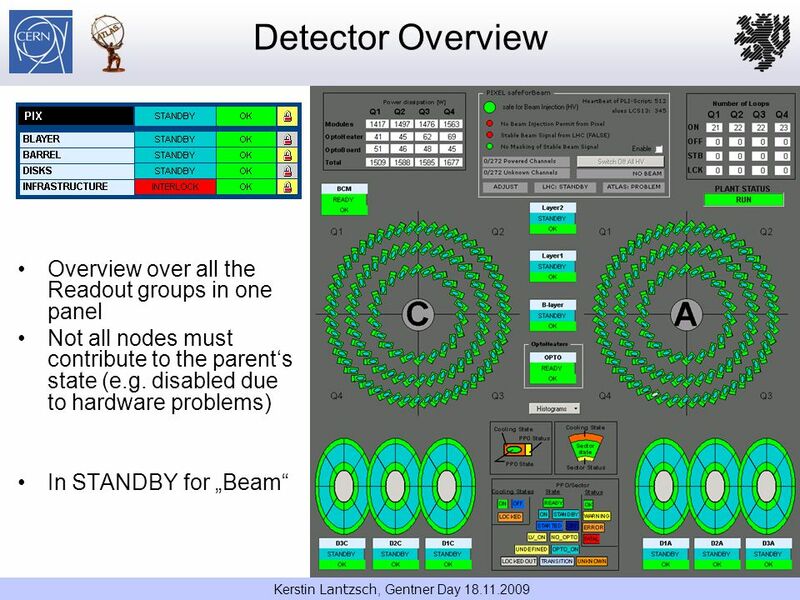 Bruno Belbute, October 2006 Presentation Rehearsal for the Follow-up meeting of the Protocol between AdI and CERN.